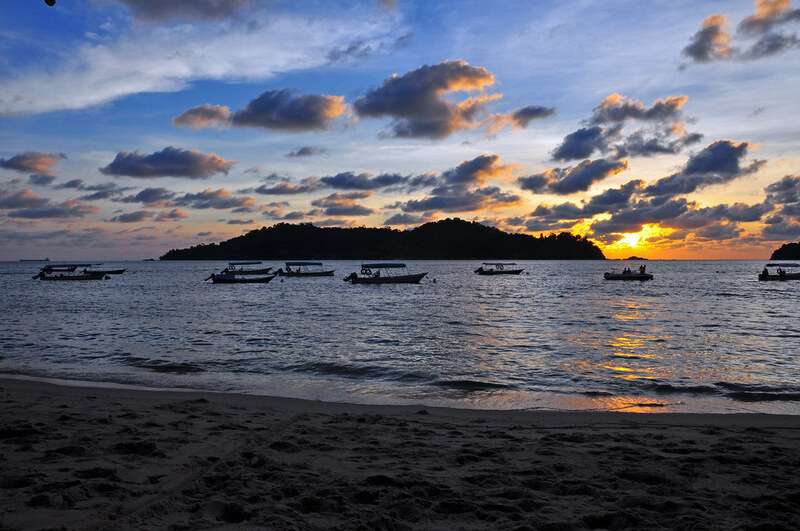 The name Pangkor may have originated from the Thai word Pang Ko which means ‘beautiful island’. However others believe it may have been a memorial to Pang Kui, a legendary Chinese adventurer said to have lent his skills in seamanship to the bands of pirates this island once sheltered. One of the beaches at Pangkor Island. Pangkor Island’s main attractions are undoubtedly the wonderful offerings of its pristine beaches on the western coastline. Named after a legendary lovely princess, Golden Sands Beach or Puteri Dewi is one of the most popular beaches on the island. Located on the northwest of Pangkor, this 1.2km stretch boasts warm turquoise waters fringed with tall swaying coconut palms. The beach here is ideal for sunbathing and recreational activities such as bird watching. Look out for hornbills said to roam the area. Pasir Bogak Beach, a snorkeling site with an extensive reef and shallow waters, faces the channel between Pangkor and Pangkor Laut. Located nearby Pangkor town, this popular destination is a favorite haunt for picnickers due to its shady trees. Here, visitors can enjoy a kayak run or the simple pleasure of beachcombing. 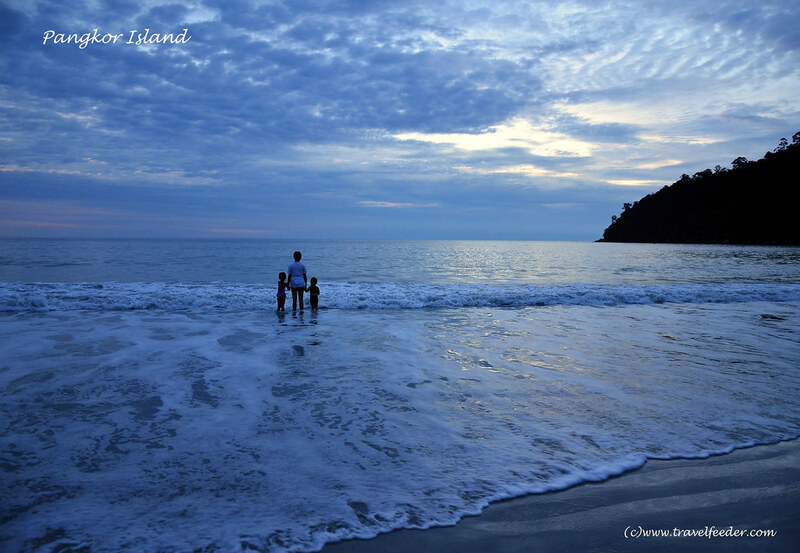 Teluk Nipah is where tourists can enjoy both solitude and excitement by the beach. Take in the soothing lush greenery or browse the open-air stalls by the beach. A walk across to Giam Island at low tide will reward you with treasure trove of marine life. Head to the Pulau Sembilan group of islands, 27km south of Pangkor Island for a superb diving experience. The nine islands (Sembilan means nine in Malay) are uninhabited with an abundance of colorful marine life. Eating out in Pangkor is a delight as there are restaurants serving both local and international cuisine. Alternatively, head to Pangkor town to enjoy fresh seafood. Pangkor Laut is a world-renowned tropical island destination. A 20-minute boat ride from Pangkor Island, it boasts one of the finest beaches in the Straits of Malacca. Sunset cruises can be specially arranged upon request. Couples can choose to have dinner by Emerald Bay which affords scenic views for a truly romantic experience. Emerald Bay is a horseshoe shaped bay at the Pangkor Laut island, home to the Pangkor Laut Resort. Pangkor Laut houses an exclusive resort named after the island. For those seeking complete rejuvenation, pamper yourself at the luxurious Spa Village. Lumut is the staging point to Pangkor Island if you arrive by road or rail. Located 83km from Ipoh, the state capital, it is home to the country’s principal naval base and a port which services the hinterland. Teluk Batik, south of Lumut is popular for another fine beach with a golf course. The Lumut International Yacht Club is a stopover while sailing the Straits of Malacca. Lumut is a 3-hour drive from Kuala Lumpur via the North-South Highway. 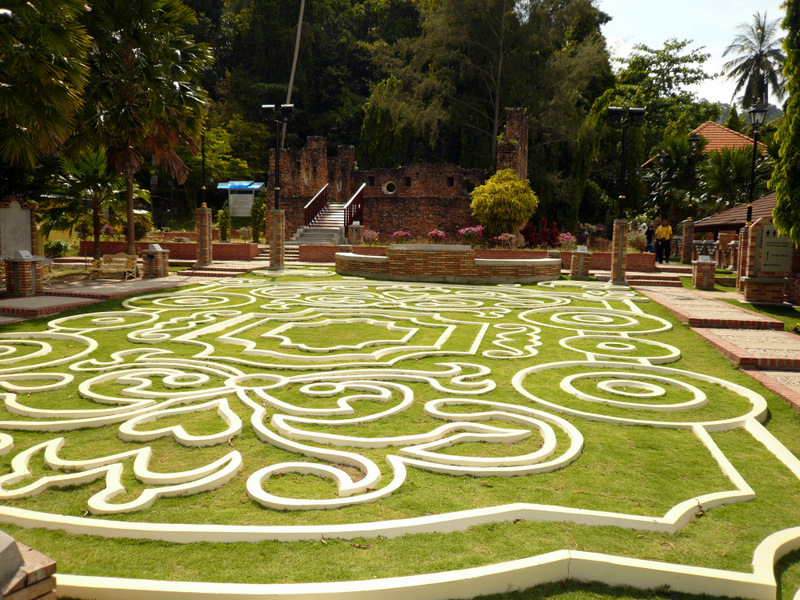 It can be reached by taxi or bus from Ipoh, Kuala Lumpur or Butterworth. Taking a boat trip aruond the bays is a great way to see more of Pulau Pangkor. The price of a round trip boat trip starting from Pasir Bogak can cost up to RM150 for a three hour trip. Normally the boat trip will includes several points of interest including a view of turtle rock and heart rock. In addition, tourists could request the boat to stop at several beautiful bays. These beautiful bays are perfect spot for swimming aside from spotting crabs scampering on the rocks and watching monkeys groom each other in the overhanging branches. Moreover, you could do snorkeling to appreciate the ocean creatures and lives of the surrounding bays. If you enjoy nature, the suspension bridge adventure may be the perfect activity for you. The adventure starts at the Pasir Bogak road, leading all the way into the jungle. Once you are there, you will see an old suspension bridge. The bridge was closed for a short while in 2012 for maintenance work but it is opened back to visitors now. Once you are on the suspension bridge, it will be a pleasant walk as the canopy keeps the sun away. There are steep stairs leading to opposite ends of the suspension bridge. The jungle is calm and still and it’s the perfect place for you to explore what’s there. You will see lots of creatures and you can hear the sounds of the jungle. It is a relatively easy, pleasant walk. There are a few places to sit down, but take insect repellant and water with you. The downtown of Pangkor Island makes an excellent short day trip or tour. 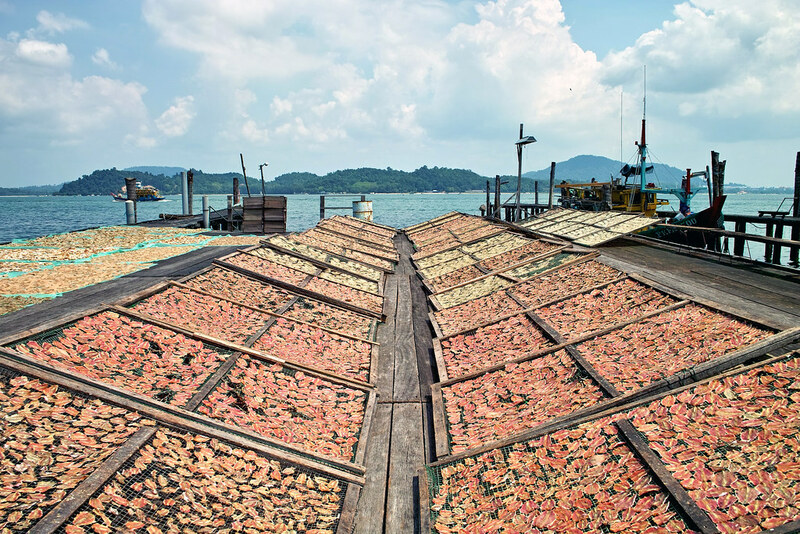 First of all, for those who want to buy dried and salted fish, the Pangkor town will be the perfect destination. You can also find other dried products such as squids and anchovies as well as dried fruits. Other than food, Pangkor Town has some interesting shops selling household produce and supplies. There are also a few decent cafes and restaurants as well as an excellent antique shop just at the edge of town on the corner heading to Pasir Bogak. The town of Pulau Pangkor, Perak. One particular stall outside the mosque at Pasir Bogak makes excellent coffee. You could enjoy the tranquility of the surrounding area while having your cuppa at this little coffee stall. 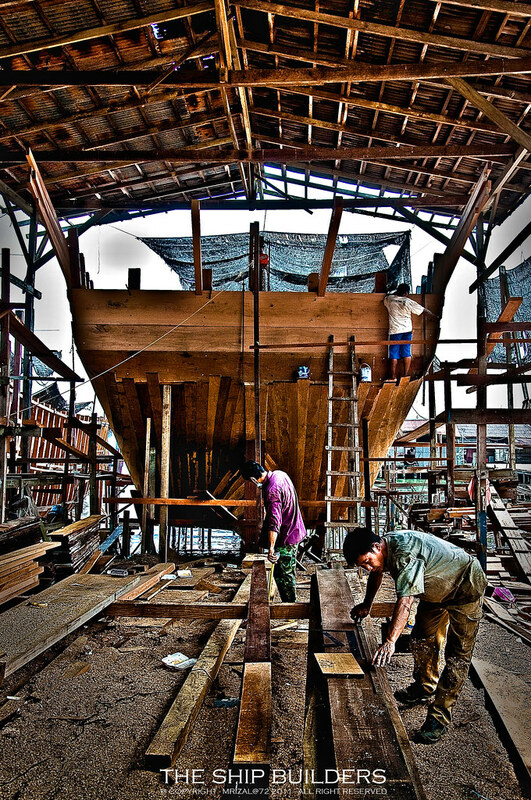 Pangkor Island is one of the last few places on the west coast of Malaysia that still engages boat building. You can find a small boat building factory on the east side of the island heading north from Sungai Pinang Kecil. Over this place, you can find huge pieces of timber piling on top of another. One interesting point to note is that the craftsmen here still pretty much stick to their traditional techniques of building boats with the use of basic tools. You won’t find huge machines or any jigsaws around this factory. There is a partially reconstructed Dutch Fort a few miles south of Pangkor town. The fort was believed to be built in the 17th century but the construction wasn’t completed for unknown reason. Nevertheless, the structure had been partially restored by the use of some remnant bricks found in the jungle. Intriguing designs on the front lawn of the Dutch Fort.! The interesting part of the Dutch Fort is that there is a very beautiful raised pattern in white color right in front of the structure. The meaning of the pattern remains unknown. The fort can easily be reached by taxi but the walk from Pangor Town is a pleasant one. Worth a look. You can easily rent a motorbike for around RM10 per hour and ride it to tour every corner of the island. The whole island is only 15km in distance and you will complete a round trip in as little as half an hour in motorbikes. My advise is take your time. Slow down and stop by any interesting places to take pictures. If you come across any remote beaches that is hard to reach, you can go explore and better yet, take a swim. 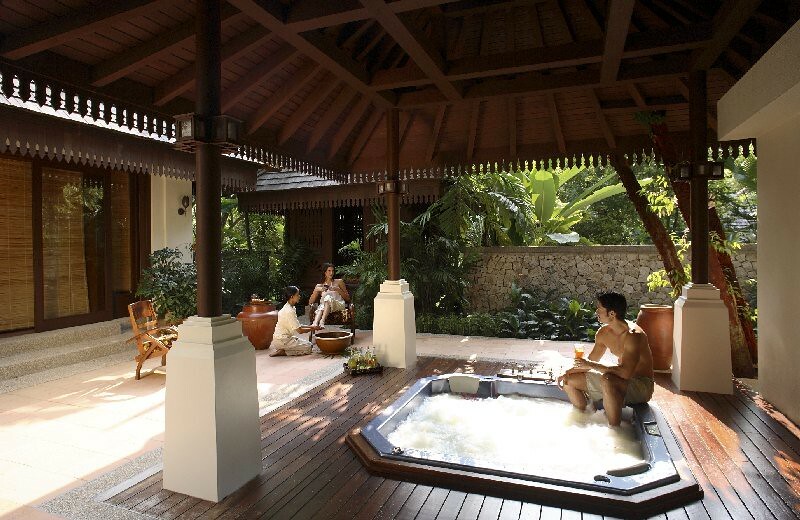 The most popular spa on the island that you should not miss would be the Spa Village at Pangkor Laut Resort. In fact, the spa is considered one of the best in the world. The resort has many beautiful pool and massage villas. Couple spa at Pangkor Laut Resort. It’s great way to rejuvenate your body after a day out in the sun. The spa is definitely one of the experiences in Pangkor that you shouldn’t miss. By Sea – Pangkor Island is a 15-minute ferry ride from Lumut. There are departures every half hour. By Air – The private carrier, Berjaya Air operates direct flights from the Sultan Abdul Aziz Airport nearby Kuala Lumpur to Pangkor. 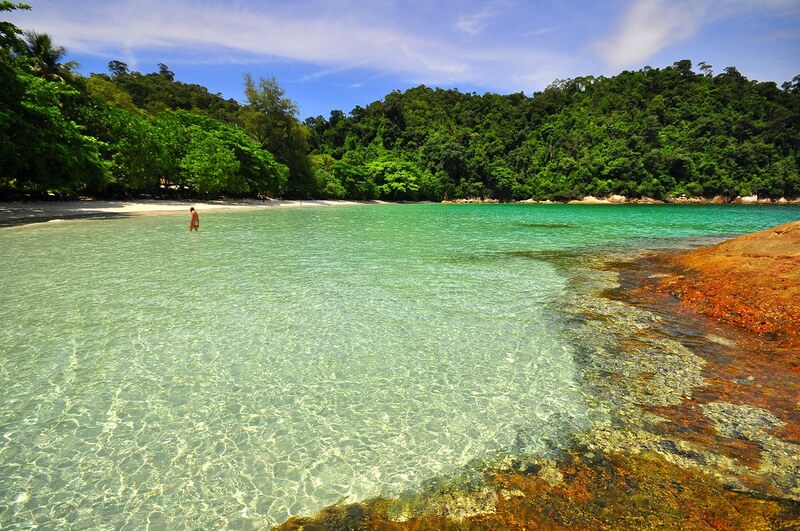 Tioman Island – Tioman is one of the most famous island getaways on the east cost of Malaysia. Being a dormant volcanic island, Tioman is the largest and most developed islands that form the Tioman Marine Park. For more pictures of Pangkor Island, please visit the following flickr photostream.